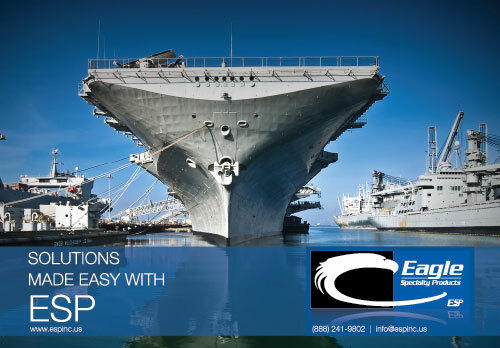 At Eagle Specialty Products, we partner with coatings manufacturers to help them achieve product excellence. Through a process of careful crafting, close communication and teamwork, we provide the industrial coatings community with standard and custom color pigment dispersions for both water and solvent-based systems, as well as the spectrum of corrective additives. We insist on providing high-quality raw materials and an experience that is superior. Paints, inks, adhesives, plastics, urethanes and sealants are all markets where we are proud to join forces and provide solutions to help preserve the quality of your finished goods and the end users' products. We are passionate about coatings and sharing in your challenges. Discover how we can help turn those challenges into boundless opportunities with standard products or customized solutions. Partnerships are the foundation for success. With the changing landscape of the global coatings market, we understand the choices in raw materials are many, so we're glad you're here. 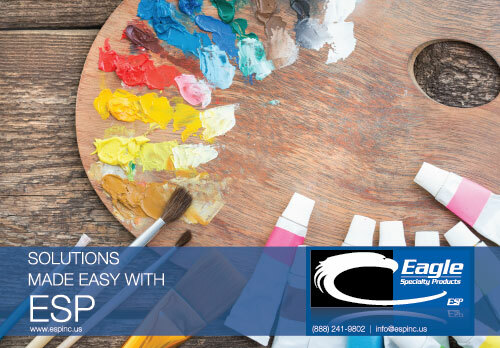 The Specialty part of our name is just that: we specialize in color solutions so that you can continue to create products at your best. That's the role of a partner and that's where we excel. We're proud to do our part whether you need raw materials for conventional applications, low VOC or specially formulated solutions. Quality should be second only to the relationships you form with your clientele. At least that's how we feel. We craft our products to be consistent, compatible and available to help maintain the progress of your operations. We make sure that your needs are in first place. Superior experience in the form of technical support and customer service is our biggest focus. Just as your relationships with customers are based on nurturing, so are the relationships we form with manufacturers. 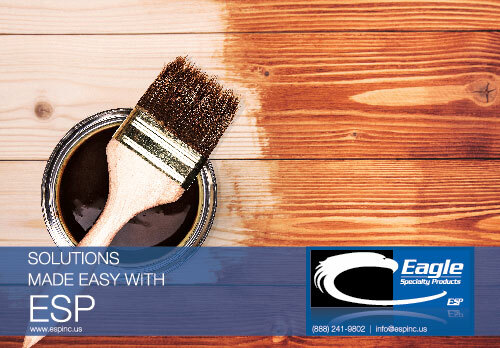 Eagle Specialty Products manufactures over 200 products used in the paint and coatings industry. Our focus is color pigment dispersions, specialty additives and industrial-grade castor polyols. 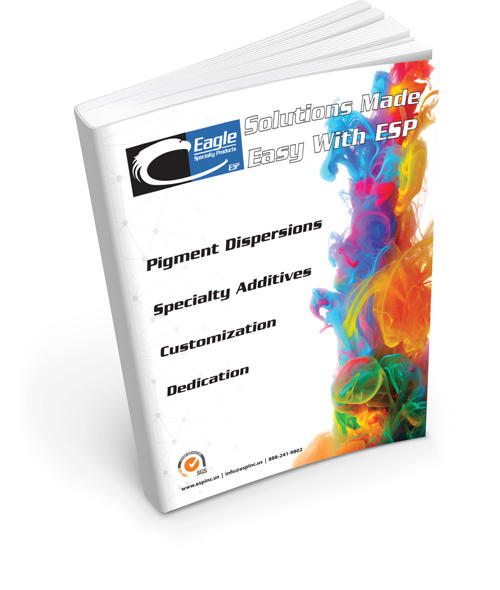 Along with our standard line of colorants, we welcome opportunities to create custom pigment dispersions. 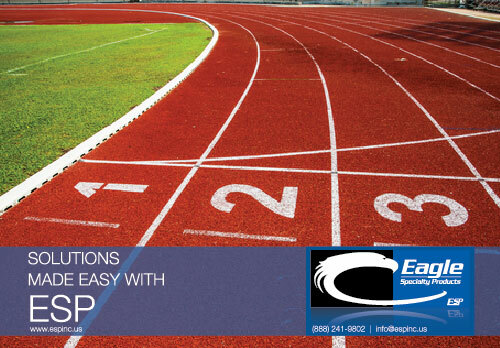 Eagle's chemists can create custom formulations for a wide range of markets, or even toll manufacture product. Eagle not only creates carefully crafted products for coatings applications, we also distribute a variety of other raw materials. We always stock a variety of commodity oils, waxes, hard resins and fine pigment extenders. In addition to our list of raw materials, we also offer packaging materials. Containers such as new and reconditioned steel drums, plastic drums, steel pails, plastic pails and totes are always on hand. We stock large inventories of our standard products in our 370,000 square foot warehouse at our headquarters in St. Louis, MO. We can also store product for you. Our expansive facilities allow us to house raw materials and finished goods for our partners. We own and operate commercial trucks and can provide same or next-day delivery in and around St. Louis. We also offer same-day shipping on all standard products for orders outside of our delivery area. 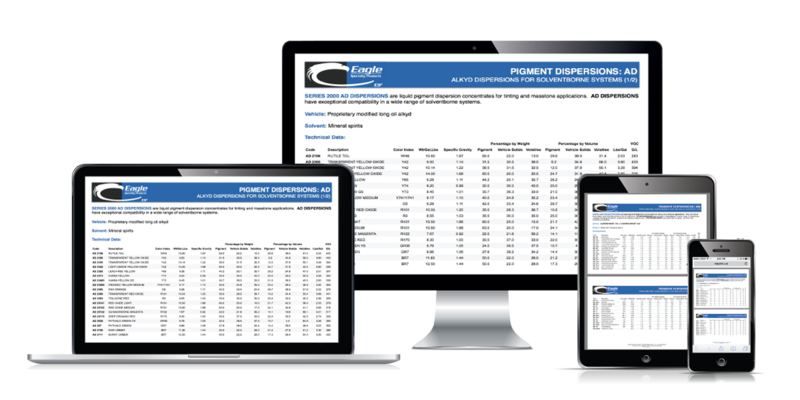 All of our technical data sheets are available right here on our website, accessible to all of your devices. Of course, if you need more detailed information such as MSDS, SDS, samples of product, an answer to a technical question, pricing, or just to find out more about Eagle Specialty Products, don't hesitate to let us know via email. If you prefer to reach us by phone, our toll-free number is 888-241-9802. Our customer service representatives, technicians and chemists are available to take your call. We manufacture a polyol used by one of our partners to craft a component for kidney dialysis, extending our products beyond the reach of the traditional paint and coatings arena. 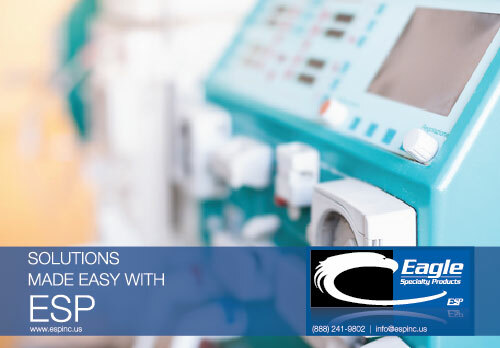 We are thrilled that our finished goods are used in life-sustaining procedures and continue to develop formulas that advance the plight of modern medical technology. The United States Navy paints the decks of their aircraft carriers with a protective coating containing one of our gray liquid pigment dispersions. We formulated this high-performance dispersion for increased wear and heat resistance, light fastness and longevity. We are proud to help serve and protect those who serve and protect us. Several of our custom pigment dispersions and specialty additives serve in the creation of colored, decorative sport surfaces. Running tracks, tennis courts and other soft surfaces found on the campuses of schools, colleges and universities, and in parks and recreational facilities all contain colorants that start out in our laboratory. We manufacture color pigment dispersions used in wood colorants, stains and polyurethane coatings. Our transparent line of colorants and our castor polyol products are used for items such as decks, interior and exterior furniture, cabinets, roofing, windows and flooring. We also toll manufacture products for companies who are in both the wood finish and refinishing industries. Our specially crafted Low VOC line of colorants are used in the formulation of OEM automotive paint. 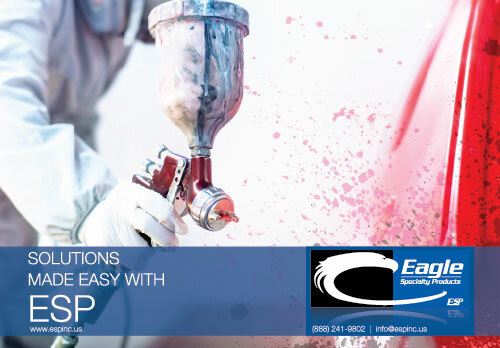 Eagle's XVOC solvent-based pigment dispersions are ideal for coatings manufacturers who are in either the original equipment manufacturing or the refinish industry. We manufacture color pigment dispersions used in traditional printing inks for offset presses and screening. 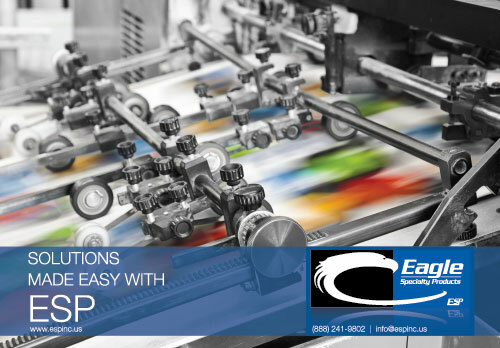 Whether it's water-based or solvent, our standard line of colorants are used in manufacturing inks for commercial applications in the industrial and consumer arenas. Our WB line of colorants, with water as the primary solvent, are the ideal stir-in dispersions for artist acrylics. Light fastness, color stability and consistency are the characteristics of our SERIES 2000 WB line. These badges of effectiveness and quality ensure that our partners who use them can deliver exceptional quality to professionals, students and recreational painters. Download our free solutions catalog. The catalog contains our full listing of manufactured products, complete with technical data. Keep it nearby if you need to find out product contents, benefits, best practices, incorporation techniques, percent use, or if you just need to know how our products compare. We are an ISO 9001:2015 certified company. We take great pride in maintaining this esteemed certification so we can continue to deliver world class solutions to our partners. © 2015 Eagle Specialty Products, Inc. All Rights Reserved.